Jazz shoes are recommended, but not required – socks or bare feet can also work. Wear comfortable clothing that you can move freely in – nothing too baggy. Wanting to practice some of the technique exercises and combinations from across-the-floor? Check out the tutorials playlist on our YouTube page! A class for our mini summer sessions only. If you aren’t sure what the difference is between a plié and a pirouette, first position and second position, or your right from your left, this class is for you! In this hour-long class, we’ll work on coordination of basic steps to the music. Challenge yourself by concurrently taking open-level jazz class to get a feel for learning choreography. Introduce basic jazz movement vocabulary, dance terminology, and exploration of different styles of jazz dance technique. Focus on musicality, body placement, and isolations. The beginning student will learn fundamentals of chaîné turns, pirouettes, basic ballet barre exercises, and other loco-motor movements, such as ball change, jazz square, chassé, and cross ball change. Expand jazz movement vocabulary and dance terminology, continuing to explore the different styles of jazz dance technique. Build performance skills, working on more complex choreography and across-the-floor combinations. The skills the intermediate dancer should have include single jazz pirouette, chaîné turns, jazz pas de bourrée, isolations, contractions, and flat back. Continue working on different styles of the jazz technique, learning stylized combinations that focus on style and performance. 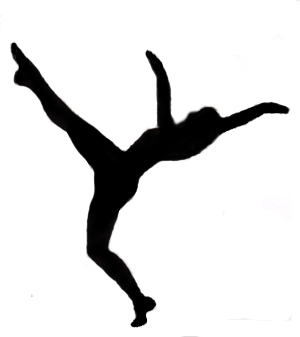 The more experienced dancer should be able to execute split leaps (grand jetés), center split leaps, double and triple pirouettes, and other advanced tricks such as kicks, leaps, and turns.